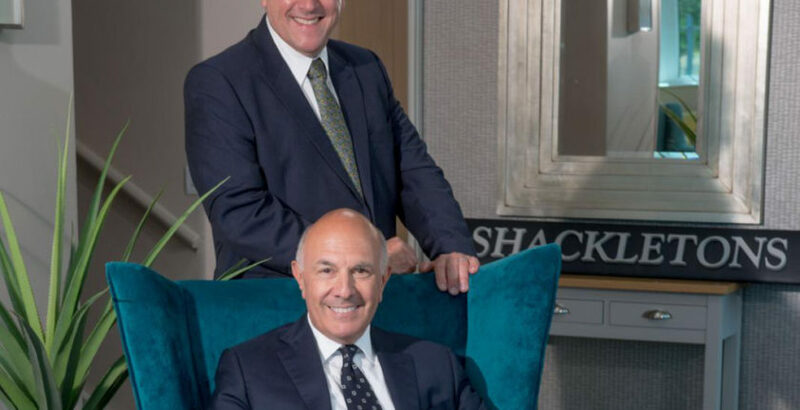 Shackletons chief executive, Anthony Ullmann, seated and finance director, Andrew Allwood. Yorkshire entrepreneur Anthony Ullmann has acquired care home furniture manufacturer Shackletons. Anthony, who previously co-founded global automotive textile supplier Autofil Worldwide, becomes Shackletons chairman and chief executive as part of the deal. “Since ending my 23 year association with Autofil Worldwide I have been looking at a range of other opportunities, and in Shackletons I have found a renowned business built on solid traditions of quality craftsmanship from a talented and loyal workforce and excellent products and which I firmly believe has great potential for growth over the coming years,” Anthony said. Anthony acquired Shackletons from managing director, Martyn Higgins, who will remain with the business to support the management and sales team. New members of the Board include: chief operating officer and finance director, Andrew Allwood FCA, previously with PWC, ABI Caravans and Capita; and Dave Allanson, formerly north west regional director of Lloyds Bank Corporate Markets, who joins as a non-executive director. Sarah Thompson will continue to take a leading role in working on direct sales and supporting the regional sales managers. Shackletons currently employs around 70 people at its Dewsbury plant. The company is aiming to increase sales by growing its healthcare and retail businesses, as well as exploring additional opportunities for new sales channels.